It is unknown whether this injury is in any way related to the left wrist fracture Lorenzo suffered last October during practice for the Thailand MotoGP event. He missed four races after that injury, but returned to racing and testing thereafter. MotoGP testing is set to resume on February 6 at Sepang. 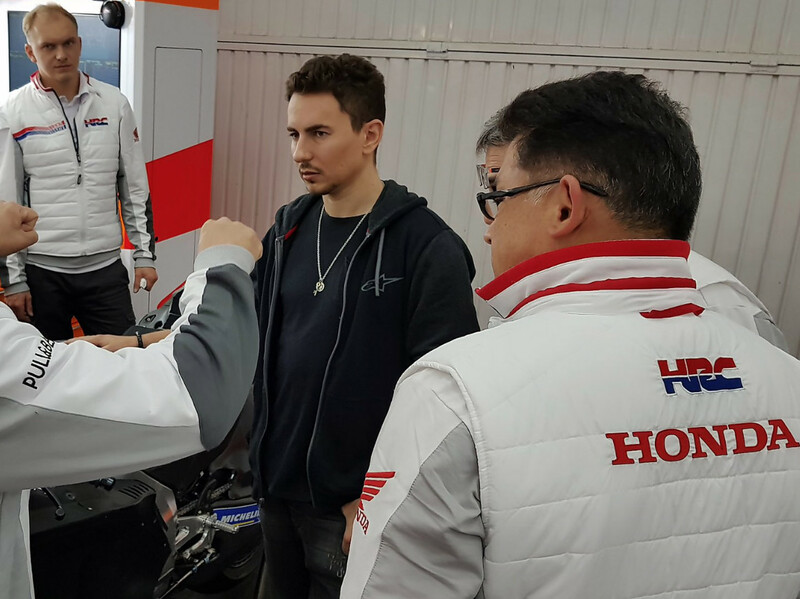 Obviously, we don’t know at this point how soon Lorenzo will be able to test or race. MD should know more tomorrow, and we will update this article. It would be somewhat anticlimactic, now. And all of the sudden, Honda’s A-Team are both question marks. Will Maq’s shoulder be good? Will JL’s wrist heal in time? Will it stop him training? Good!!! We love on and off- road! Dakar please! #99 looking a bit soft and doughy there. Motomatters reports it was done doing dirt track. What a double-edged butter knife that is – nothing trains traction management like dirt track, but it seems to be where they always get hurt off-season. Aside: This is one of the cooler pictures of the dude I’ve ever seen. He usually just looks dorky. Granted, you wonder what’s in the guy’s hand to draw his ire like that. LOL I didn’t notice the other hand. Maybe he figures Toby Price’s secret to winning Dakar was his broken scaphoid and Jorge can use it to his advantage too? When’s the Dakar wrap coming to MCD? Wouldn’t a Dakar wrap now be a bit anticlimactic?